Like water rates, sewer rates in Hamilton County are increasing. 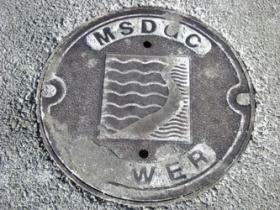 County Commissioners approved the Metropolitan Sewer District's 2014 budget, which includes a six percent rate hike. MSD is undergoing a massive multi-billion dollar system overhaul required by a federal consent decree. MSD had asked for a $226.7 million operating budget but the county's new utility oversight director, Dave Meyer, says the sewer district can get by with $210.7 million. Commissioners chose to follow Meyer's recommendation. MSD estimates the average residential customer will see his/her quarterly bill go from from $188.15 to $199.45. Water rates are also going up. Earlier this year Cincinnati City Council approved a $12.44 increase ($3.11/quarter) for the average Greater Cincinnati Water Works customer. Hamilton County Commissioners continue to take public comments on the proposed 2014 Metropolitan Sewer District (MSD) budget. MSD is asking for a $226.7 million operating budget but the county's new utility oversight director says the sewer district can get by with $210.7 million. What both sides DO agree on, is a six percent rate increase. MSD's Jack Rennekamp says, "the average residential customer... will see his/her quarterly annualized bill go from from $188.15 to $199.45."